Design and production of the company’s newspapers will in future be separated from the content creation function with a centralised production unit in Norwich responsible for all print titles. Meanwhile content teams will publish directly to the web in what the company is calling an ‘audience first’ publishing model. The company has declined to put a figure on the number of redundancies expected, but it is understood that the plans could see the loss of up to 57 roles across the company, with around 40 new roles to be created. Sub-editor and newsdesk roles are expected to be among those most affected by the plans, which come days after Eastern Daily Press editor Nigel Pickover announced his retirement from the company. Staff were notified of the proposals yesterday afternoon in an email from chief content officer Matt Kelly and then in a follow-up email from chief executive Jeff Henry. Jeff’s email, which has been seen by HTFP, states: “We have been working for some time on a plan to specifically transform our content function. This has been shaped to reflect the profound changes in the way that content is both created and consumed. “Our current editorial structure and workflows are too print focused and we believe they impede us from having an ”audience first“ approach. This inhibits our strategic aim to become the best local media company in the UK by the end of 2017. “Whilst, regrettably, we are proposing to make a number of today’s existing roles redundant, we will also be creating a number of new positions across the group. “Those people whose roles are at risk of redundancy will be informed as soon as possible and we will then enter into a period of consultation with them. “We appreciate there is some potential for instability and uncertainty as this process proceeds. We will endeavour to conclude matters swiftly and will support relevant staff as best we can. Matt set out the rationale behind the proposals in a lengthy document which has also been seen by HTFP. He wrote: “Newspapers and magazines, contrary to today’s perceived wisdoms, remain a vital and unique platform for our content. There is no digital equivalent to the sense of belonging, of serendipity, of concrete value that print can give a reader. “And we’ve seen many examples of how media companies who relegate their printed products to the margins of their business (in so-called digital-first strategies) often pay a price in accelerated circulation declines and, in some cases, a worrying decline in the standards of journalism that separate us from every hyper-local blogger or tweeter or Facebook community out there in the ether. He added: “An audience-first strategy aims to deliver excellence in every platform on which our audience chooses to consume our content. But to enable this, here at Archant, I believe one simple but fundamental shift must be made. We need to separate the production of the newspaper from the creation of content. “Our day-to-day routines are almost entirely geared-up around print. From the design of our CMS, the rotas we work to, the amount and type of content we create, the vast majority of it is designed to accommodate print. “In our newsrooms, our newspapers dominate thinking throughout the day. In the document, Matt announced the appointment of two content directors who would oversee the implementation of the “audience first” strategy in Steve Anglesey, who will cover East Anglia, and Laura Adams, who will be responsible for London, Herts, Cambs and the South West. Matt also revealed that Mark Hindle would be in charge of the centralised newspaper production unit, which will be based on the first floor of the company’s Prospect House, Norwich HQ, pictured above. He added: “I do not believe it is any longer our job to follow the old mantra of “covering everything that moves” in our communities. Frankly, these days we are not the best at it anyway – not when compared against the instant reactions of the community themselves on social media. “Our job is to edit. To decide what is important and to cover those subjects in depth. To set the agenda. To campaign. To investigate. To entertain. To inform. 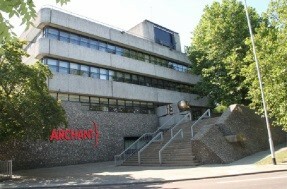 An Archant spokesperson said: “Archant can confirm it will be making changes to its content teams across the company to radically transform how it works as it continues to develop its audience-first strategy. Andy Smith, National Union of Journalists national executive member, said: “We are extremely concerned by the news of the proposed job losses at Archant. “The union has yet to meet Archant management formally to discuss the proposals, but the there is little in the reported statements from Jeff Henry or Matt Kelly to indicate how moving to an ‘audience first’ approach can justify the loss of at least 17 jobs. “Putting 57 staff at risk of redundancy, particularly at this time of year, will be incredibly stressful for them all, and our first responsibility is to support our members through this process. Now we know why Nigel jumped ship. The web-first model has been such a success for TM and JP, hasn’t it? It will only turn off the remaining few print sales and quality, as evidenced by the wholesale massacre of sub-editors, photographers, reporters and newsdesks in the past decade, will suffer dramatically. It’s all very well trumpeting the quality of modern newspapers and those who put them together. It’s the bosses who need sacking, the people who come up with these ideas that devastate lives and titles, once proud for a very good reason. Why can’t these fools learn from the failure of digital at JP. They are like lemmings hell bent on self destruction. How many times do I have to say it? DIGITAL DOSEN’T WORK! Can’t beat the Archant way of death by mail and as fit it’s laughable “…..to ensure it remains the most relevant media in the communities it serves, whilst protecting its journalistic values” this just goes to show how out of touch or deeply in denial the top floor crew really are,stop taking to the few friendly business faces out there , you know the ones who are invited to the football box,the hospitality events, the cheap cheapo mates rates and instead ask the droreted advertisrss why they no longer use the papers or speak to the thousands of ex readers to hear why they no longer buy the dailies and weak weeklies, then they might hear the root cause of the huge sales losses. As for the acting content editor going and the EDP editor jumping ship, now we know why. The old revolving door will be busy as Archant don’t do things by halves do they? We hear 57 out,possibly 40 “new roles” in meaning a very miserable Christmas for lots of folk. so many HTFP commenters,myself included,have been urging those hanging on in there to have an exit plan in place for announcements such as this so let’s hope many of those affected will have done so and be ahead of the game or they’ll face a lot of competition for a very few jobs..
With end of year being the traditional culling time and the figures and copy sales so bad it should come as no surprise ,however any company that persists with an embarsssing local tv station and suffers commercial managers managing managers and sales reps failing to sell yet ought to look at those key factors first. Nice of the driver to pull over and let Nigel out before the car continues on the road to nowhere. Still, for those left, there’s plenty of excitement and airy concept to distract from the insidious dread of project digital. It’s not as easy as it seems to split content creation and page design. When I worked at Archant, editors were responsible for subbing most pages in the papers and leading a reporter team. There are a lot of content creators who also sub pages. Thinking of features teams, commercial writers, people working on small magazines. Best of luck to everyone, presume the choice is move to Norwich or take redundancy. I note there has never been a move to centralise telesales operations for the group at Norwich though. Strange that. So the job cuts will come from the content providing sector then,Does that mean the public? as they seem to be the main providers of copy these days. With the quality of content as bad as I can remember it and majority of good staff long gone,it’s no wonder sales are so shocking and cuts are necessary to make ends meet, just don’t expect a digital first strategy to be the answer to clawing back readers and attracting business advertisers, both groups have been attracted to ‘customer first’ competitors who are giving them what others have deemed non essential. If content really is under the spotlight can we assume the company’s two dire vanity projects will be the first to go? Shame for the many about to be cast aside but in many ways they’re the lucky ones. The people who go could be called ‘journalists emeritus’. Honorary, of course. A dumb move. But what else is new? As a mission statement of abject failure this is right up there with the very best. It is a rash new media exec indeed who admits that his audience is better at the job he is paid supervise. This admission hardly bodes well for the brave new world to be born on the backs of 57 journalists’ jobs. My commiserations to those involved, but, take heart, with management strategies as outlined here, Archant may be doing you a favour in the long run. Take it from one who knows – there is more to life than journalism – and it invariably pays better, too. On paper, I find it hard to object to a strategy that puts producing more relevant material first and trying to develop digital. In practise, I suspect this is just the same old Archant rhetoric and mish mash of ideas with no real plan for how any of this will make any money. The very, very, very long explanation sent out does nothing to instil confidence. What ever happened to concise writing? These ideas have already been tried and failed at other companies. What always gets overlooked is that this stated desire to “free-up” reporters will fail because they’ll simply end up tied to their desks doing the jobs of those who have gone. We’re told it will be different this time – it won’t. But what stinks most about this is, as ever, the way it was handled. An email to a staff (many of whom have been through this process four or five times in the last decade) and a meeting which none of the key players had the decency to attend. Instead a junior career merchant is left to parrot a statement with all the delivery and sensitivity of a pub quiz master. The scariest part is, the desire and nativity of some to enthusiastically swallow the same old lie for immediate career gain. If you need to do this to save money, fine, people get that. It’s sad but that’s the world we’re now in. But have the honesty and integrity to admit it rather than come up with this Emperor’s New Clothes justification. An aside, but HTFP, there seriously haven’t been any comments either good or bad on Pickover’s retirement yet? Ive finally heard it all, but as it’s almost the panto season we should not be too surprised . My very good wishes to the 57 souls headed out of the company as it seems a very happy release if that statements an indication of where the business is headed. Does this mean they weren’t ‘audience first’ to begin with? Might explain some of the problems. Bit disappointed these developments weren’t described a ‘exciting’. Well said Norfolk n good,yes it’s purely a cost saving excercise and getting ducks in a row to separate print from digital, it makes things easier further down the line and yes even more sad to see the usual junior and not so junior career men and commercial yes men all nodding with faux concern to impress their puppet masters, it’s no wonder so many ad reps are looking to get out or are leaving with no other jobs to go to. Merry Christmas to those poor souls left behind to work under those conditions and until the next auto timed ‘all user’ emails are sent with their names on the list. Sadly the newly created roles will be a much reduced salaries, probably doing the same job. What they want to do is get rid of the experienced people who are paid more, employing chimps in their place. And there you have it – yet another ill-conceived blueprint by someone who really hasn’t a clue what the consequences will be, hastening the demise of the regional press. I hear too thta Archant is reviewing the staff roles and structure of their county style glossy mags in the south. Circulations have been slipping. Why do digital dead horse and UGC keep trotting out the digital doom-and-gloom? Regional publishers could give you a combined 100 million examples to show that digital ‘works’. The trouble is that needs to work better to find sustainable business models for local news away from their greedy corporate hands. 1. Try to grow audiences by investing in print, fail miserably, continue to lose money then eventually have nothing left for anyone. 2. Try to grow audiences by investing in digital, fail miserably, continue to lose money then eventually have nothing left for anyone. 3. Try to grow audiences by investing in digital, succeed in creating something sustainable then eventually have something left for a few talented people. There is still life in print but only in the short term. There is no long-term scenario where printed newspapers alone, if at all, will provide a sustainable income. I’m not trying to paint a rosy picture of digital, as there’s certainly a lot of work to do, but it is the only growing revenue stream. For that reason, I welcome the idea of major culture changes to all local newsrooms, in principle, as we simply can’t carry on as we are but the way such changes are clearly being handled by the big boys, I fear that my ‘option two’ will be the outcome for more titles than is really necessary. Thank God I’m closing in on retirement. Oliver. I say what i say because the evidence is there. Digital IS NOT the answer for everthying. Ppl like Ashley Highfield would have digital food if they could with breakfast eggs and toast downloaded fron the net. The net is unsuitable for weekly local news especially. Jp would have everyone believe that print is dying but in reality it is being Murdered by cuts and under-resourcing and putting out low quality papers to try and drive people to digital. But because of the lack of ads the ‘cert’ they have backed is a failure and they are giving news away free, whilst once proud papers are driven into the ground. This is nothing less than criminal. Fools who think they know it all but actually know nothing. I would do a better job being put in charge of the Hadron Collider in Cern! So NO digital is not suitable for local weekly news. If it aint broke….dont fix it! I say again…DIGITAL DOSEN’T WORK! Can I ask a question? If the strategy is audience first, why do you make the entire Research and Insight team redundant a few weeks before announcing this? An audience first approach makes sense, delivering the right content in the right format and monetising the vertical and horizontal communities who engage with it. As Archant have multiple brands, across multiple geographies in differing formats do you know the unique segmentation to make sure that the content resonates – hmm maybe you get that from research and insight! So the Christmas Cull puts in another appearance at Archant… Will the aftermath result in the usual outcome of more work for less people, meaning that those who remain will wonder why they bothered staying? Of course it will. For those that lose their jobs…take heart, there is life after Prospect House! Nothing like having the courage of your convictions by telling those affected face to face but as we might expect the decision makers were nowhere to be seen when the bad news broke preferring to send a timed email followed in rapid succession by another one from big chief moments later. Says all we need to know about the importance of an ‘audience first’ strategy when it comes to the staff. in reference to your last paragraph,sorry to say but might it be that no one is interested? This is, I suggest, is primarily a cost-cutting exercise, but a step in the right direction. I have big problems that people still say a transition to digital is the reason to enter a terminal decline – wow.The decline in print advertising and disappear print audience. Matt moves can make this possible, a focused content engine, with advertising tightly into contact with the contents, can deliver results for advertisers and is half of what brings results. Old digital display is not enough, the subscription is not enough, but these and other new initiatives and technologies can work when you get past revenue problems and things level. It is necessary, however, low operating costs, a small and efficient sales force, together with small management and not to get stuck in the past. So, goodbye to the old, maybe not all the whales die in Norfolk. A classic example includes their supplements where irrespective of the subject matter the same old ads are lumped in there as opposed to specific targeted local businesses relevant to the content and those likely to be of interest to anyone reading the piece,so they need to change the whole way they sell which isn’t going to happen as it would mean dismantling the whole ad sales operation and no ones brace enough to tackle that one it seems. A classic example recently was a get fit health feature with ads on there from an armchair supplier and a wood burning stove company! that’s a great theory and does make someone be sense however they’re known to be top heavy and falling over themselves with reps, team leaders and managers, many of whom cost more than they contribute to the business but until a radical overhaul and audit of the sales departments and it’s management structure takes place nothing will change; big ad sales teams, selling weakened products, to fewer readers and producing less revenue yet with exceedingly high overheads is a recipe for failure and a big proportion of where the huge costs are going. Obvious but apparently being overlooked yet again. JohanNilsson: The people who run our newspapers have had more than a decade to take, as you put it ‘a step in the right direction’. Ever since the internet and all its hangers-on started draining papers of their traditional sources of revenue, in fact. Did they take those steps? Naw, they waited for the new fad to disappear – a bit like skateboards. Now, years after those bone-idle big-wigs rode off into the sunset with hefty pay-offs in their saddle bags, the people who are left in the industry are paying big time for their lack of foresight. I feel sort of sorry for (some) of today’s management. They’ve been left with a massive mopping-up job which they are woefully ill-equipped to deal with. Dunno what whales have gone to do with anything, Johan, but skateboards are still around. Digital dead horse, you are in cloud-cuckoo land if you believe that print ‘ain’t broken’ and that it’s being ‘murdered’. I’ll agree that it’s being euthanised to some degree by the profit demands of regional publishers but its days are numbered in the long term. I say long term because there is still some life in print yet but when we live in a world where a third of 18 to 24-year-olds haven’t picked up a newspaper in over a year, you cannot ignore the long-term impact this will have on this industry. And what ‘evidence’ are you talking about? Digital does make money and there is growing proof that it will make more. It’s just not enough to fill the void left by print under current local news models. As much as I hate to see it, wholesale changes are required in order to find that new baseline for a sustainable local digital news model. Shouting ‘digital doesn’t work’ every time there’s a digital story won’t change the facts about changing consumer habits and how journalists will need to work in the future. The Dead Digital Horse is correct. Digital simply does not work for weeklies. Why? Because, frankly speaking, its content is 90 per cent dull. People don’t mind that once a week for about a quid in a paper. But they are not going to be constantly looking at a weekly paper website. Hence the ad reps find it so hard to make any meaningful progress on sales. Advertisers are not thrilled by the crappy, clumsy websites and the mostly boring content. Weeklies keep peppering their sites with non-local news, just to grab some clicks. But that is no use to local advertisers. Regionals and nationals might squeeze a living out of websites. Being an ad rep on a weekly must be hell instead of what might have been a great opportunity. Very low paper sales that can only get worse and poor web sites that never show ads at their best and mostly dull news content. Paperboy, you’re right that the current digital business model of chasing page views is of no use to local advertisers, but digital can clearly work. As a local business, do you care about your advert being seen by 20,000 people who aren’t interested, regardless of whether they’re local or not? No, but this has always been the model of local newspapers. Digital has simply removed the borders defined by your delivery trucks to reach 100,000 people and beyond, but the same local print audience are part of that. Regional publishers have simply jumped on that extended ‘reach’ as a vehicle for selling national adverts, to the detriment of local businesses. Digital actually affords us the tools to monitor and manage both audiences and advertisers more effectively than print ever can. Being able to reach an engaged audience, no matter how small, is worth way more to local advertisers than volume. Would you, as a local business owner, be willing to pay more than the current rate of digital ads to guarantee reaching just a handful of people who will become loyal customers? Yes, of course you would. Well, this is exactly what Facebook is doing so well. Given the history of many local newspaper brands, there is no reason why we shouldn’t know more about our audiences as the digital tools to help build different online communities have been available for quite some time. Unfortunately, regional publishers would rather focus on short-term profits rather than investing long-term sustainability. chief executive Jeff Henry that the word ‘myriad’ is an adjective and it is therefore not possible to have ‘a myriad of’ anything. I feel better now. Oliver – you’re half right, but miss the logical conclusion of your position and the reason that digital display doesn’t offer a profitable model for local news. The content is just too expensive to produce. Niche selling of advertising is great for the advertiser, but it requires thousands of transactions to reach the same level of revenue as old print display. That requires cheap, self-serve ads and a massive audience – not floors full of sales people and the small UVs of local news sites. Slice your local weekly audience down to your targeted market and you’re only selling to a handful of people – which makes no economic sense. Facebook has the benefit of scale, and content generated for free by other people. The model is not transferable. Your earlier point about 18-24 year olds not picking up papers is naive. They never have – newspapers have always been targeted at an older market, and the population is ageing. It’s the older audience, with more disposable income, which is attractive to advertisers. The early hyperlocal websites have mostly closed because it is not financially viable and no one else is coming in to the market. It’s time for publishers to move to ramped online subscriptions, graduated from registration up to paid for, and protect and invest in quality content rather than constantly slash editorial costs. Scoop, there are comments I’ve made on other articles which address the issues you raise. However, don’t get me wrong, I’m not saying this is the panacea for all the ills of local news. Facebook’s major benefit isn’t about scale. Twitter has scale and can’t make penny! It’s major benefit is knowing so much detail about its users and being able to accurately target the potential audiences of its advertisers by gender, age, ethnicity, sexuality, relationship status, work, hobbies, interests, social circles and so on. Facebook, Google and Apple are all now offering potential revenues streams from selling adverts into publishers’ content or taking a cut of local ads when pushed out to a larger, targeted audience. Creating more niche content with this approach would allow us to generate an income from content which may be difficult to sell into locally and it might give publishers more time to focus on the needs of local advertisers, something which is missing digitally at present. In my opinion, we cannot fight Facebook, Google and Apple as they have become such dominant publishers worldwide. In terms of audience reach, we have already embraced them as our primary aggregators of content so we should look to do the same with advertising. In regard to the 18 to 24-year-olds comment, I believe that it’s more naive not to consider all audiences when the industry is in such dire need of change. I’ve said numerous times on here that we’re in the business of selling news, not newspapers! Yes, older generations may pick up a newspaper and they might do so for a variety of reasons other than the news (eg jobs, property, sport, the crossword). Younger audiences simply consume articles/content and they do so from a vast array of online resources (websites, blogs, YouTube, social media etc). They may not visit your website at all but, from time to time, they might stumble across an article which interests them and that is why measuring this data is of such great value. It means you have a window of opportunity to pique their interest in similar content and get them to engage in ways that are of value to both of you. All of a sudden you might go from selling adverts to the same solicitors and chartered accountants to a variety of businesses that would have never bothered with you in the past. Most failed hyperlocals have simply tried to follow the local newspaper model online. That’s simply doomed to fail as that business model is clearly broken. You mention subscriptions and paid-for content but do you realise the volume you would require and/or the amount you would have to charge to make that viable? Now that makes no economic sense! It’s also a surefire way of restricting your advertisers’ potential audience to a handful of disinterested people. I do agree with the need for investment in quality content online instead of forever cutting costs. It would be great to see a publisher trying something genuinely revolutionary rather than simply axeing jobs under the guise of a new ‘digital first’ strategy! While not having Oliver’s eloquence (or knowledge) of this subject, isn’t it about time publishers stopped sharpening their collective axes and started thinking about how they could make their products amazing, rather than just following the digital lemming head-first over a cliff? And Oliver, we don’t just sell ‘news’. We sell features, analysis, opinion, gossip and so on. The trick is to sell it so people want to buy it, on any platform you care to name. Nobody seems to have got the hang of that yet.